Eight Turkish soldiers have been killed in a bomb attack on their vehicle in the southeastern province of Siirt. Seven more soldiers were wounded. No one has claimed responsibility, but the army has blamed Kurdish Workers Party militants for the attack. It marks another deadly assault in a surge in violence after a two-year long ceasefire unraveled last month. 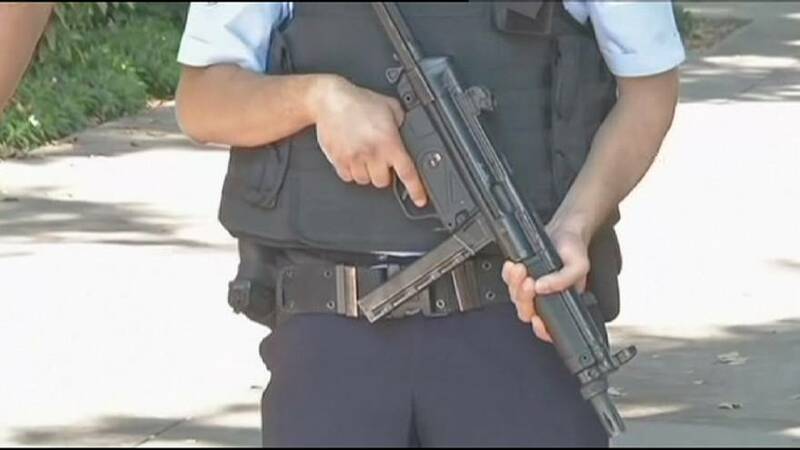 The sense of instability was heightened after gunmen fired at Turkish police outside a palace in Istanbul. According to the governor’s office two members of a ‘terrorist group’ armed with hand grenades and an automatic rifle were caught after the attack. In the last 44 days 55 security personel have been killed in Turkey. The unrest comes weeks after it declared a ‘war on terror’, opening up its airbases to the US-led coaltion against ISIL militants as well as arresting more than 2,000 suspected members of radical Kurdish and Islamist groups.